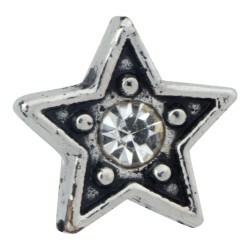 Shine a little brighter with our Star with Crystal charm, perfect for graduates, friends, or anyone looking for a little something to wish upon. 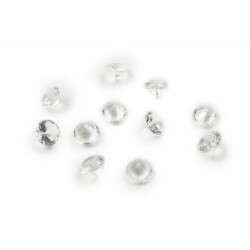 Diamonds are a pet's best friend! 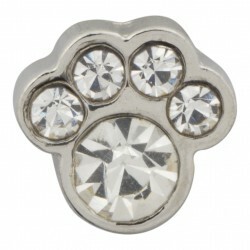 Although they may not be real diamonds, you can still bring a little fancy style to your cat or dog's collar with our Paw Print with Crystals. The whimsical dreamer will never be short of inspiration with our Butterfly charm, cast in lavender and purple tones perfectly set to accompany the charm garden you’ve started. 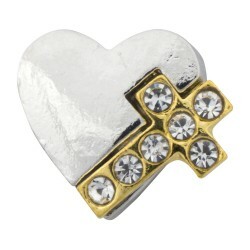 Keep your faith close to your heart with our Heart with Cross charm, showing the world outside what you treasure inside. 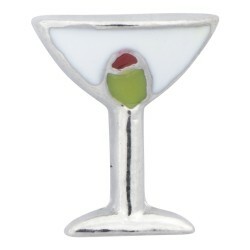 Topped with a tiny olive in green in red, this Martini Glass Cocktail charm captures the flirty fun of a night out… or can simply celebrate your favorite drink--shaken, not stirred, of course. 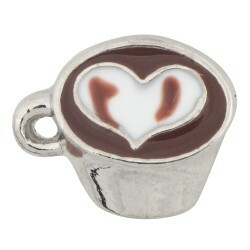 Bring your love of enjoying a good book and a cappuccino with you wherever you go with our Coffee Cup charm, topped with its very own foam heart. 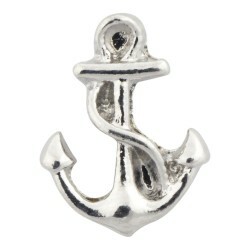 Immediately recognizable as a symbol of faith, our Christian Fish - Ichthys charm can serve as a simple, everyday reminder to be a fisher of men. 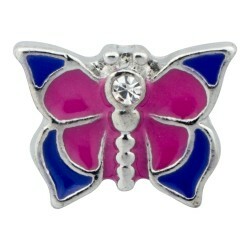 For those times you can’t hug and kiss in person, consider our XOXO - Hugs and Kisses charm. Remind that special someone that you’re thinking of them… even if you can’t be in their arms. 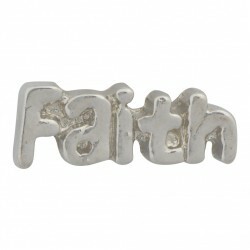 Spell it out in silver: our Faith charm reminds you to hold on and keep believing. 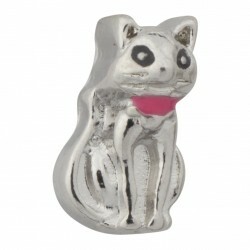 Cats have nine lives, but our Kitty Cat charm is immortal, keeping that special little feline close to your heart always. 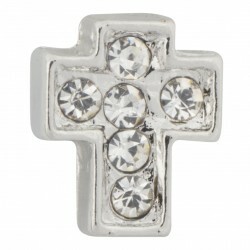 A constant reminder of faith and accented with a little sparkling light, our Cross with Crystals charm is the perfect gift or keepsake. 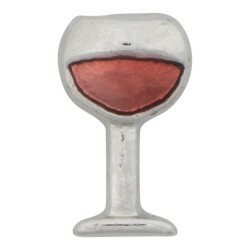 Whether your preference is a cheery rose or a bold grinning red, celebrate vino with our Wine Glass charm! 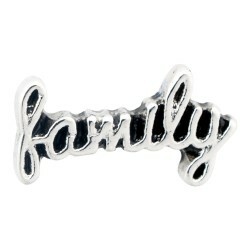 Captured in a heart of silver, keep your loved ones close with our Family Heart charm. 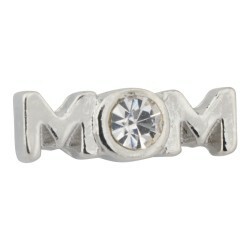 Celebrate the mother in your life for all she does with our Mom with Crystal charm, highlighted with a sparkling accent crystal “O”. 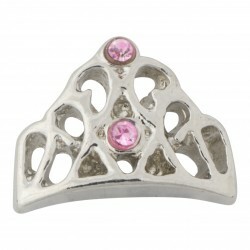 With pink crystal accents and a stunning tiara, our Princess Tiara charm makes the perfect gift for yourself, or that little princess in your life. 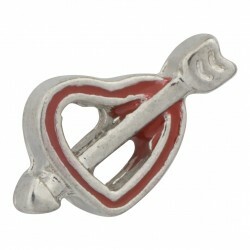 Cupid’s bow will never miss with our Heart with Arrow charm, showcasing love in true Valentine’s fashion. 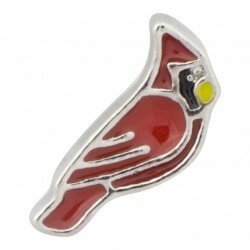 Whether you're a fan of the Cardinals sports team, or just love the vivid red plumage of these gorgeous birds, our Red Cardinal charm is the perfect accent piece. 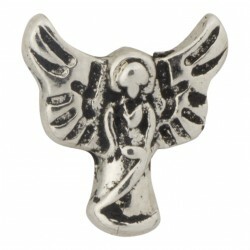 With wings spread in protection, our Silver Angel charm will watch over you and those you love. 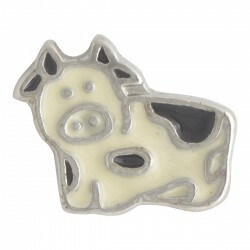 This adorable Holstein Cow charm is the perfect companion to a country or farm-themed charm set, or worn standalone in all its black-and-white cuteness. From nurses to interns, residents to doctors, we all know someone who has dedicated their lives to saving others. 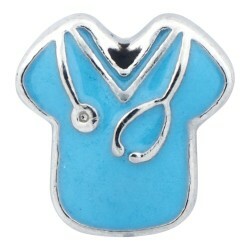 Celebrate their healing gifts with our Medical Scrubs charm, recognizing their hard work. 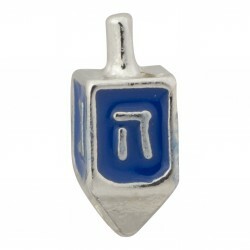 While the traditional dreidel is made from clay, our blue and silver dreidel charm is just as treasured during Hanukkah. 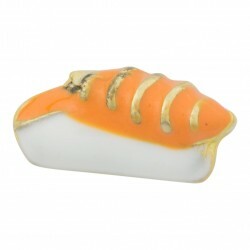 Quirky, unique and fun, this salmon nigiri Sushi Roll charm will be certain to attract attention... and maybe start a craving or two. Cavici is pleased to partner with Green Meadow Memorials for creating memorials of lives well lived. Visit their website to find Keepsake Urns along with a selection of Made in the USA Wood Cremation Urns that can be engraved with your choice of sentiments, poems, artwork and more. High quality products, fast service and great value ensure they are partner you can rely on. 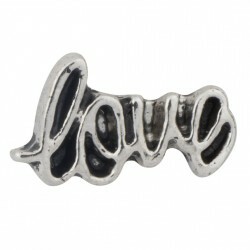 We're a company that inspires you to create jewelry that is uniquely you. 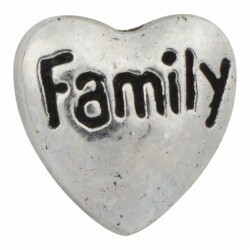 Tell your own story by creating your very own personalized floating locket. 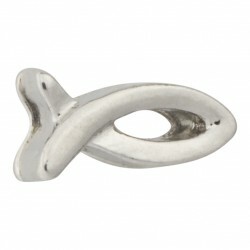 All jewelry is hand-picked and handled with care right here in the United States.